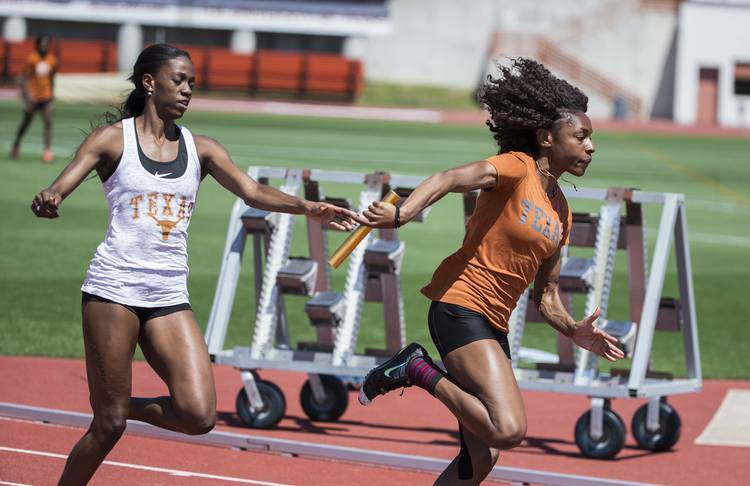 Senior Texas sprinter Courtney Okolo on Tuesday was named the U.S. Track & Field and Cross Country Coaches Association Division I national athlete of the week. Okolo ran the fastest time in the world this season for the 400 meters Friday night in the Husker Invitational at Lincoln, Neb. She clocked in at 51.16 seconds and defeated former teammate Ashley Spencer, who now runs for Nike. It was an impressive season debut as she attempts to defend her indoor title from 2015. She set a meet and facility record at the Bob Devaney Center.